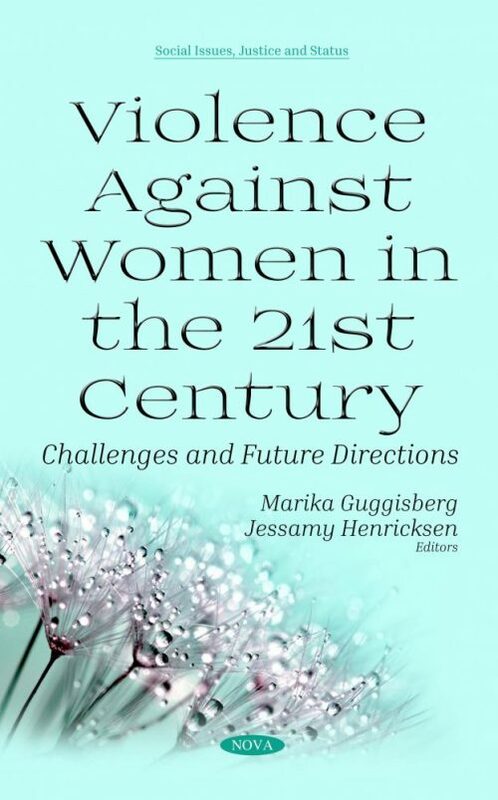 This book examines issues around violence against women in relation to contemporary experiences, theories and interventions. It provides insight from research and expertise of international scholars, which invites readers to critically reflect on the nature, impacts and complex responses to women’s experiences of interpersonal violence, inequality and racism. The book raises awareness of different forms of violence, which include emerging types such as image-based abuse, sextortion and online stalking. The book is aimed at scholars, students, practitioners, policy makers and interested community members. A primary emphasis is on resituating major issues in the context of contemporary challenges and current research. Violence against women is an ongoing phenomenon that continues to confront and impact individuals, sub-populations and whole societies. Major misconceptions in the context of family and intimate relationships are highlighted along with prejudicial attitudes of those responding to the violence. Furthermore, cultural expectations and media representations are implicated and reasons for ongoing and new digital technology facilitated abuse are discussed. This book makes it abundantly clear that awareness needs to be raised continuously, along with discussions in relation to effective intervention and prevention. While progress has been made in recent years and decades, contemporary concerns need to be raised, challenges need to be considered to press forward, tolerance towards violence against women needs to be reduced and ultimately prevented altogether.